HP Encounters Another Printer Security Vulnerability | TonerGreen - Eco-Friendly Toners from the U.S.
Hewlett-Packard, the OEM had just confronted an issue last month after a tech blogger by the name of Adam Howard had reported that there are more than 86,000 network printers that can be hacked through using the Google Search Engine and that most of these printers are under the brand name HP. Unfortunately, this issue seems not to be the end regarding the vulnerability of their printers' security, CRN, an international news website, reported on March 11 that "Hewlett-Packard issued a critical security update for certain LaserJet Pro printers, following the discovery of a serious vulnerability that could give remote attackers access to sensitive data." 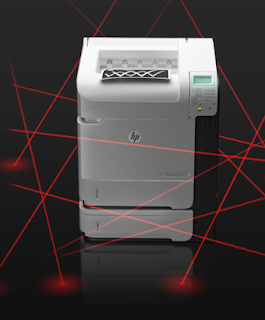 The said issue concerned the "telnet debug shell flaw" which according to the report "affects 10 of HP’s LaserJet Pro machines, including the: P1102w; P1606dn; M1212nf; M1213nf; M1214nfh; M1216nfh; M1217nfw; M1218nfs; M1219nf; and the CP1025nw." "The printers had a telnet port open which I did not expect to be open," said Christoph von Wittich, a German security expert credited for detecting the said flaw. Wittich had claimed that he detected the said error while doing a routine network scan of his company's corporate network. "I tried to connect to the port with a telnet client and I got a debug shell which allows you to disable SSL communication to the HP ePrint Cloud servers and shows the passwords for the HP Cloud server connection in plain text." "As long as the printer is not connected to the Internet, this vulnerability should not cause much trouble for the end user," he concluded. To solve this issue, the OEM company offered an updated firmware that users can easily download by going to the HP Support Site and clicking on the Drivers & Software Page, and then searching for the appropriate printer model number. Looking for HP laser printer supplies? TonerGreen offers a wide selection of eco-friendly remanufactured HP toner cartridges.